High school students learn how drinking water is treated during the 2016 WaterWorks summer program. Water is a fitting topic for summer. But instead of recreational activities, a number of Seattle area teachers and students undertook more studious pursuits. 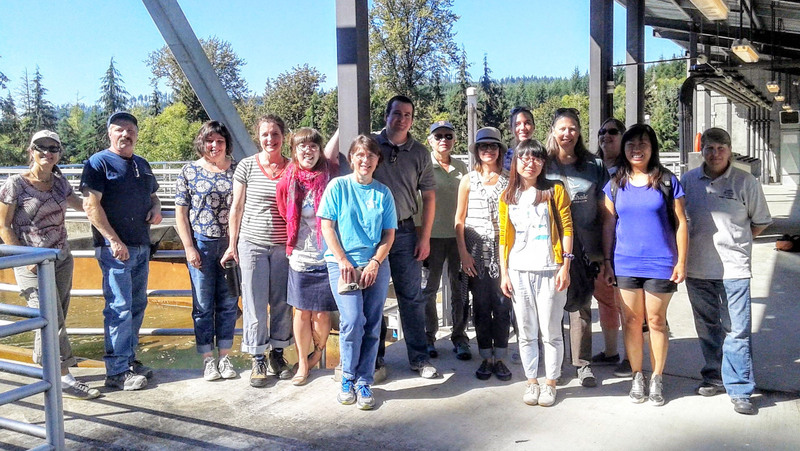 As part of the UW CEE WaterWorks summer program, teachers and students were introduced to the field of environmental engineering, with a focus on learning about the water supply and treatment process. The free summer program, held from August 15-26, consisted of two separate week-long workshops, one for teachers and a second for students. The program introduced Seattle-area teachers and students to various aspects of the water supply and treatment process through a mix of labs, lectures and field trips. During the first week, nine teachers participated in labs and field trips and had an opportunity to plan new learning modules, which they will take back to their classes this fall. Participating teachers also received a starter kit of lab supplies to take back to their schools. 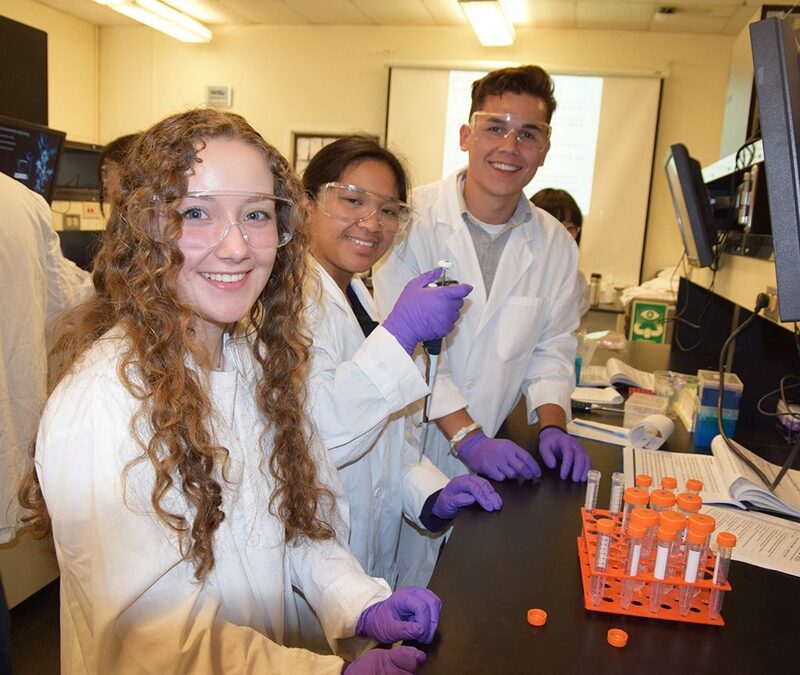 During the second week of the program, 15 high school students who will enter grades 11-12 in the fall learned how drinking water is treated through labs and lectures. The students also toured the Cedar River Watershed, Tolt Water Treatment Facility and Brightwater Treatment Plant. Led by CEE Associate Professor Michael Dodd, the workshops are supported by a National Science Foundation grant, with the goal of educating the next generation of environmental engineers. Seattle-area teachers tour Seattle Public Utilities’ Tolt River Water Treatment Plant during the WaterWorks summer program. This entry was posted in Uncategorized on August 26, 2016 by ceenews. As a transportation guru, perhaps it is no surprise that Associate Professor Jeff Ban made his way to Seattle via an extensive road trip—all the way from New York. 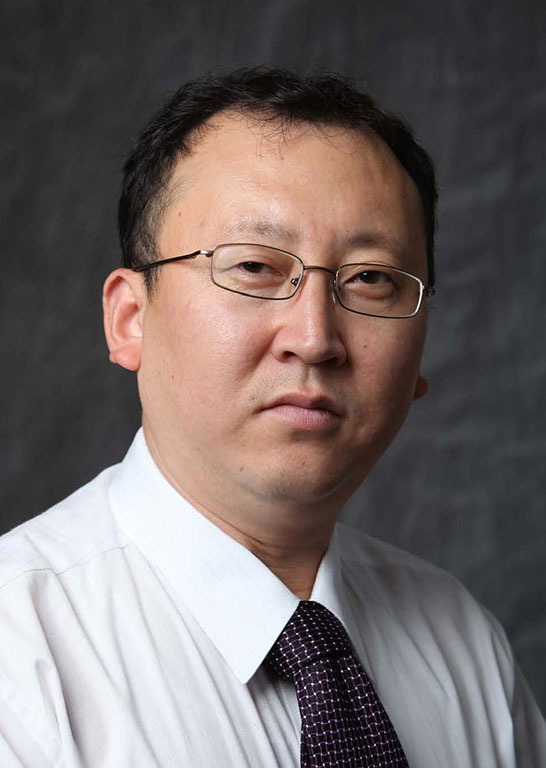 Ban joined the UW CEE department in mid-August, coming from the Rensselaer Polytechnic Institute where he was an associate professor in civil and environmental engineering and industrial and systems engineering for eight years. Ban’s decision to join UW was based on a number of factors, including the high level of interdisciplinary collaboration with various departments and local agencies to solve transportation problems that have regional, national and international impact. With an interest in cars that started at a young age, Ban is very familiar with the transportation challenges of today. His transportation expertise has evolved over the years, building upon his various degrees, and his experience ranges from designing cars to developing transportation infrastructure. Originally from northern China, Ban holds master’s and bachelor’s degrees in automotive engineering from Tsinghua University, P.R. China. While earning his first master’s degree, Ban learned not only how to design vehicles, but about the larger transportation system, which piqued his interest in transportation science and engineering. Ban relocated to the United States to attend the University of Wisconsin, Madison, where he earned a master’s degree in computer sciences and a Ph.D. in civil & environmental engineering. Ban’s research interests are broad, spanning many facets of transportation. To resolve transportation related congestion, energy and emission problems in urban traffic areas, Ban uses mathematical modeling and computer simulation techniques to explore how various transportation systems operate in tandem, from freight trucks to passenger cars. To develop more efficient, safer transportation systems, he utilizes insight from vehicle sensors, as well as other data gathering methods, to learn about vehicle and transportation system performances. Looking to the future of transportation, Ban also researches emerging driverless car technology and is working to develop Intelligent Transportation Systems technologies. By utilizing driver cell phones, GPS and other tracking systems in cars, real-time traffic data can be used to better monitor and manage existing systems. As the fourth most quickly growing city in the United States, Seattle’s metropolitan area will provide an ideal setting for Ban’s research. Ban is the recipient of numerous awards, including the 2011 NSF CAREER Award, 2012 New Faculty Award by the Council of University Transportation Centers and American Road & Transportation Builders Association and the 2014 School of Engineering Research Excellence Award for junior faculty from Rensselaer Polytechnic Institute. Ban is busy getting settled in Seattle with his wife, Lucy Lu, and two sons, Chris and Alan, who shared their father’s interest in cars when they were very young. And he is, of course, enjoying exploring the different transportation options the city has to offer. This entry was posted in Uncategorized on August 25, 2016 by ceenews. 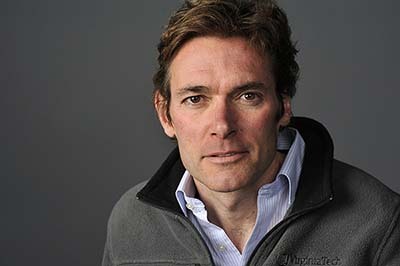 The New York Times Magazine features an in-depth story about alum Marc Edwards (Ph.D. ’90), who was named one of the world’s most 100 influential people by Time Magazine for his work to uncover lead poisoning during the Flint water crisis. Read The New York Times Magazine feature story. This entry was posted in Uncategorized on August 16, 2016 by ceenews. UW civil and environmental engineering alumnus Marc Edwards. Edwards received the honor together with pediatrician Dr. Mona Hanna-Attisha, who discovered an alarming number of children with lead poisoning in the city of Flint, Michigan. During the Flint water crisis, Edwards led a team of 25 volunteers from Virginia Tech who executed what Edwards calls the “most thorough independent study of a water supply in U.S. history.” The research team quickly uncovered excessive levels of lead in the city’s water system, which was traced back to 2014 when the city began to source its water supply from the Flint River. The corrosive river water caused lead from older pipes to leach into the drinking water, exposing as many as 12,000 children to high levels of lead. In January 2016, the Governor of Michigan declared the city of Flint to be in a state of emergency, providing funding for medical care and supplies. Due to the mishandling of the water contamination by government officials, several lawsuits were filed. Criminal charges were also filed against two Michigan Department of Environmental Quality employees and a city water plant operator for misconduct and tampering with evidence. Prior to the Flint water crisis, Edwards gained national attention for discovering elevated lead levels in Washington, D.C.’s water supply in the 1990s. After uncovering an inaccurate report published by the Centers for Disease Control and Prevention (CDC), Edwards was pressured to stop his research and funding was discontinued. He pressed on, funding the remainder of the research himself. As a result of his six-year effort, a congressional investigation determined that the CDC engaged in “scientifically indefensible” research. For Edwards, scientific research is a public service. Despite laws such as the Clean Water Act and Safe Drinking Water Act, which are intended to prevent disasters such as the Flint water crisis, they cannot protect against negligence and misconduct. By exposing problems, institutions have an opportunity to change for the better, Edwards said. In the News: Check out the KING 5 news feature! A banana farmer in southern Pakistan, Javaid Khoro, checks his cellphone to view the irrigation advisory. It’s kind of a cross between receiving a text message from Mother Nature and a business partner. 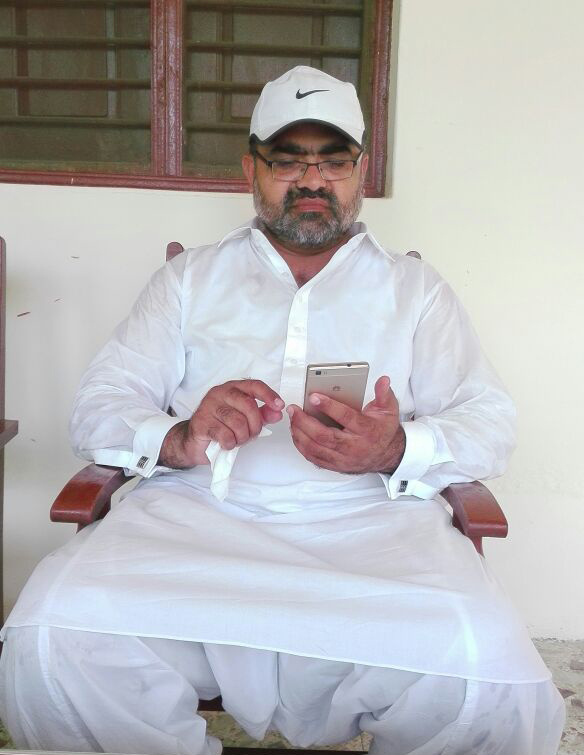 More than 700 farmers in Pakistan who grow bananas, wheat and a variety of other crops have started receiving weekly text messages that advise them how much to water their crops. Developed by UW civil & environmental engineering researchers, the new Cellphone-based Irrigation Advisory System (CIAS) is helping farmers become more profitable and sustainable. Beginning in April 2016, weekly text messages customized by region and crop variety were sent to farmers via a SMS broadcast network. One of the first text messages sent to wheat farmers advised them to conserve water: “Dear farmer friend, we would like to inform you that your wheat crop does not need irrigation due to sufficient rainfall during the past week.” More than 50 farmers replied to the first text message, saying “shukria,” or thank you. Agriculture is an important industry in Pakistan, accounting for roughly one fourth of the Gross Domestic Product and employing more than half of the labor force. But for the majority of farmers in Pakistan, farming knowledge is handed down from previous generations who also utilized the Indus Basin Irrigation System, which is the largest connected irrigation system in the world. Due to a lack of information about how much water crops require, it is not uncommon for crops to receive almost twice as much water as needed, said Hossain. Depending on the region, crop water requirements may range from 24 inches to 56 inches, with farmers applying as much as 88 inches of water. Overwatering not only reduces crop yield, but increases the cost of maintaining a water supply from drilling deeper for groundwater. As the sixth most populous country in the world, sustainability is becoming increasingly important in Pakistan. With a climate that is characterized by little rainfall in some areas, farmers may spend months waiting for rain. To further complicate matters, the profitability of farming in Pakistan is also diminishing. Without government subsidies, farmers are increasingly looking for new occupations, rather than struggle to pay back loans. Based on NASA satellite and model data, crop water requirements for various Pakistan regions are developed. Green and yellow regions indicate low to moderate crop water demand. Orange and red areas show very high crop water demand. The CIAS program is overseen by the Pakistan Council for Research in Water Resources (PCRWR), which is similar in nature to the United States Department of Agriculture or United States Geological Survey. Ahmed Zeeshan Bhatti, from the PCRWR research team, first approached Hossain, who directs the Sustainability, Satellites, Water and Environment research group, in July 2015. The project builds on Hossain’s current NASA-funded research, which has the goal of facilitating better water management in South Asia by utilizing a variety of satellite-based forecasting methods to monitor precipitation, snowpack and groundwater storage. In just four months, three of Hossain’s graduate students developed open source software that gathers freely available NASA satellite data and other model data on precipitation, evaporation and weather data from the National Oceanic and Atmospheric Administration’s National Center for Atmospheric Research. The software calculates daily and weekly reference precipitation and the evaporation of water from soil and plants. The data and corresponding maps are then downloaded by PCRWR officials, who analyze them along with information about the season, climate and weather forecast. Watering recommendations are then developed for specific regions in Pakistan. In the coming year, PCRWR plans to expand the program to 14,000 farmers. The future goal is to reach more than a million farmers across Pakistan once cellphone coverage expands. This entry was posted in Uncategorized on August 5, 2016 by ceenews.